On this, the third of the 12 Days of Randonneurmas, we turn toward the worst kept secret in randonneuring: randonneurs love to obsess over bags. It’s true. Every randonneur thinks about how they are going to carry their stuff. Some get by with the storage capacity of seat packs and jersey pockets, but over time many graduate to hauling their jackets, tools and energy bars in bike-specific bags that combine practicality and style. MG is fully convinced that radonneur men have like to ride their bikes in part to buy bags — and to shave their legs. Read her essay about it at her Chasing Mailboxes blog. MG has an Ortlieb pannier, Carradice saddlebag and Rickshaw Bagworks mini messgenger bag on the way to work. 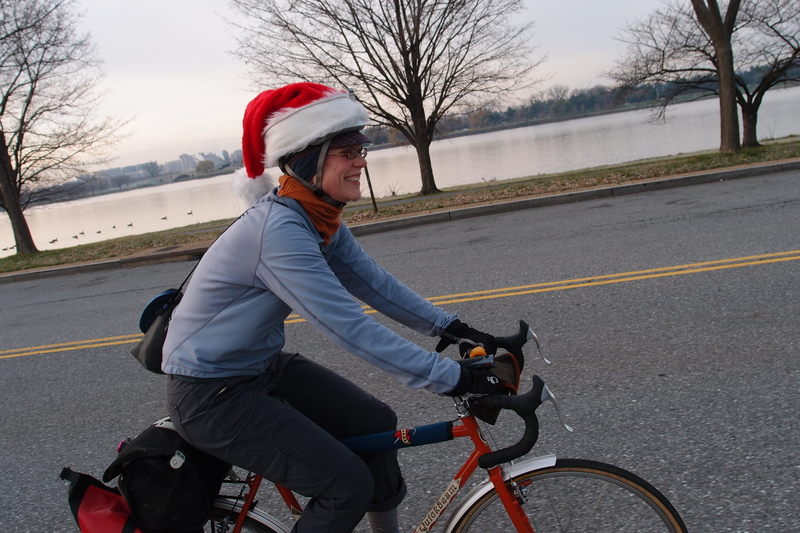 If you or your loved one is going to put bags on their bike, the choices to surprise them this holiday season are growing. Here at TDR HQ, MG and I still rate Carradice saddlebags No. 1 for usability and value, and we use them on most of our bikes. But there are many high quality alternatives — perfect for gift giving. Here are two we like that aren’t cheap but pay off every time you use them. 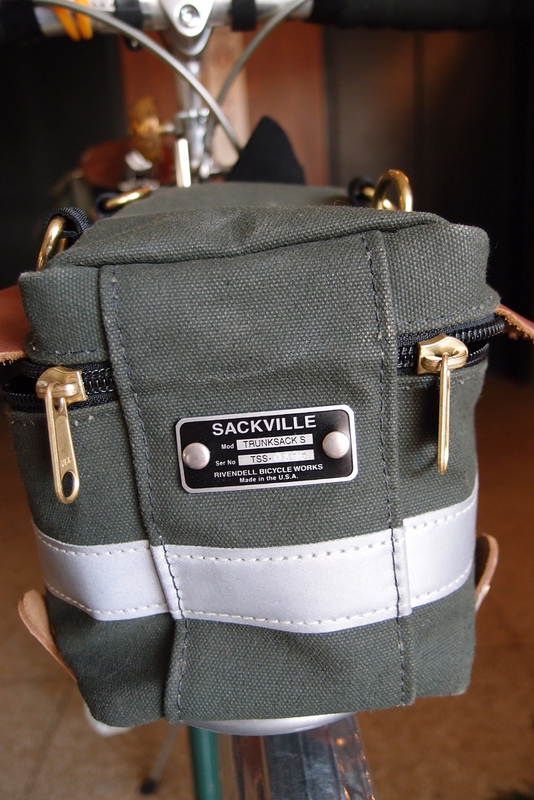 First up is the Sackville TrunkSack Small from our favorite bike supplier, Rivendell Bicycle Works. This little front trunk is intended for those small front racks that are growing in popularity. It’s perfect for putting in a few items and being able to get to them while riding. Sackville TrunkSack Small side view, with straps underneath rack. Sackville TrunkSack Small with fancy Rivendell metal Made in the USA tag. 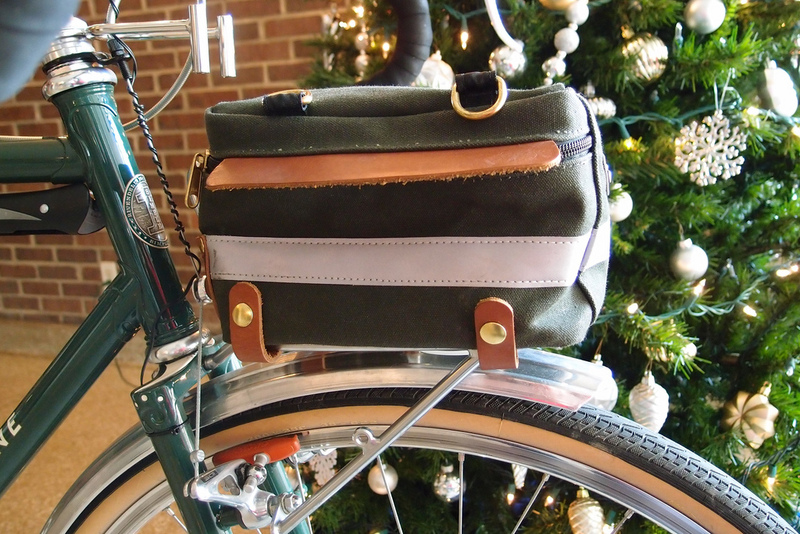 For the back of the bike, I picked up the Japanese Ostrich saddle bag from Velo Orange this year. Ostrich is not well known in the United States, but should be. The quality is terrific. Velo Orange is not likely to carry Ostrich beyond current stock, so give Chris and company a call soon. 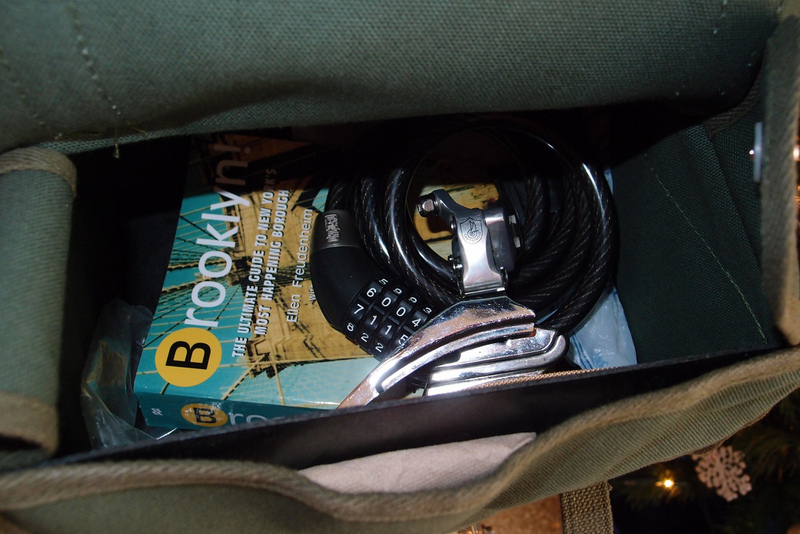 The saddlebag requires a support that fits into a slot under the bag. See more photos of both bags in a set I posted to Flickr. Ostrich makes a sturdy canvas bag with handy side pockets and lashing straps. The boxy Ostrich saddle bag holds more than it appears. 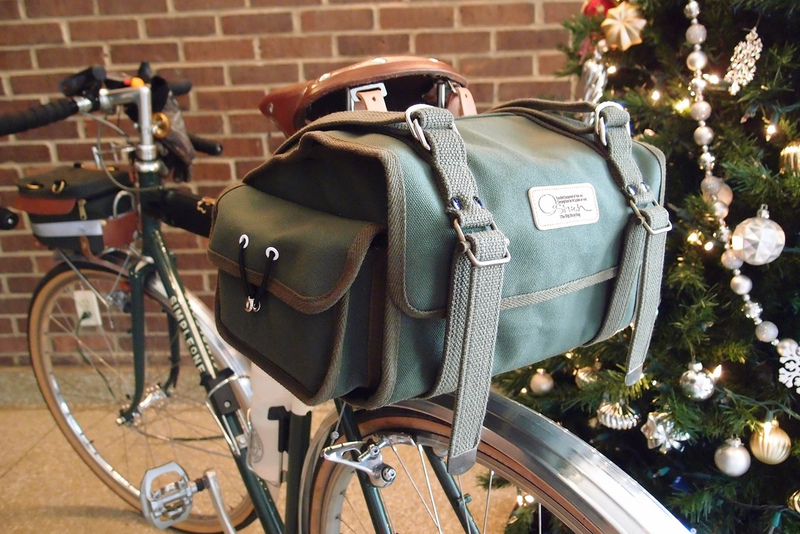 Bags are expensive, so you’ll be a big hit with your randonneur with these or any other brand you know they are hoping to get from Santa this year. Tomorrow: cheap and effective protection from the sun and wind. Acorn Bags at http://www.acornbags.com/ makes far and away the best bags on the market, but they are hard to get a hold of because of their limited supply. The quality is outstanding and they fit bikes better than Carradice or other brands I have purchased. Just getting into randonneuring. Ejoy TDR much!!! I can say both of my Caradice Nelson Longflaps lasted 20 years each. Very versatile. Easy to clean after the many vinegar spills from the Long Ride Hero Sandwich that it often carried. One of the two was brought back to life, after a tear-with some fancy needle work during a long winter. It is sitting in a closet waiting for a long ride to be used again.